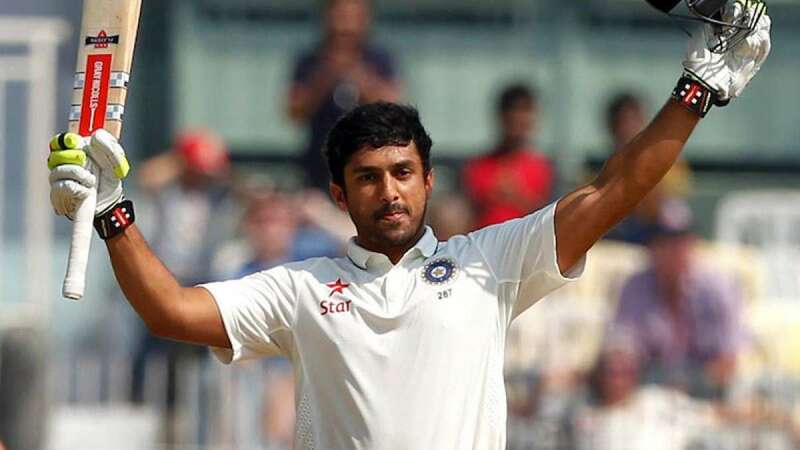 Chennai : Batsman Karun Nair on Monday slammed a brilliant triple ton (303 not out) to take his team to a record total of 759/7 against England in the final Test being played at Chennai. All eyes in the stadium were on 25-year-old Karun Nair as he became the second Indian batsman after Virender Sehwag (twice) to hit a triple ton in Test format of the game. His scored his triple ton in just 381 balls which included 32 boundaries and four huge sixes as India took a comfortable lead of 282 runs against the England. On the final day of the game and a good batting track, England will be looking forward to at least save the game by taking it to a draw. Out of 303 runs, Karun kept audience cheering by making 232 runs in a single day. The best part in his batting was the usage of 360 degree of the ground. Call it fate or just sheer luck, there was no word on taking Karun Nair in the playing eleven till the time Rohit Sharma was fit and fine. Rohit's bad was Karun’s good! Rohit Sharma was replaced by Karun Nair after he suffered hamstring injury. Karun Nair’s triple century will definitely give birth to positive problems for captain Virat Kohli and coach Anil Kumble as they will have to take a tough call once a fit Rahane is back in the scheme of things against Australia.